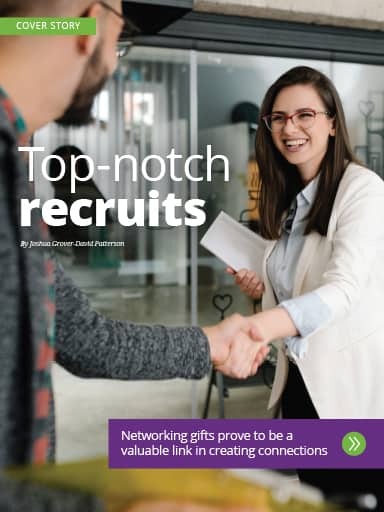 Check out the amplify® spring 2019 issue in your web browser! Struggling to recruit? 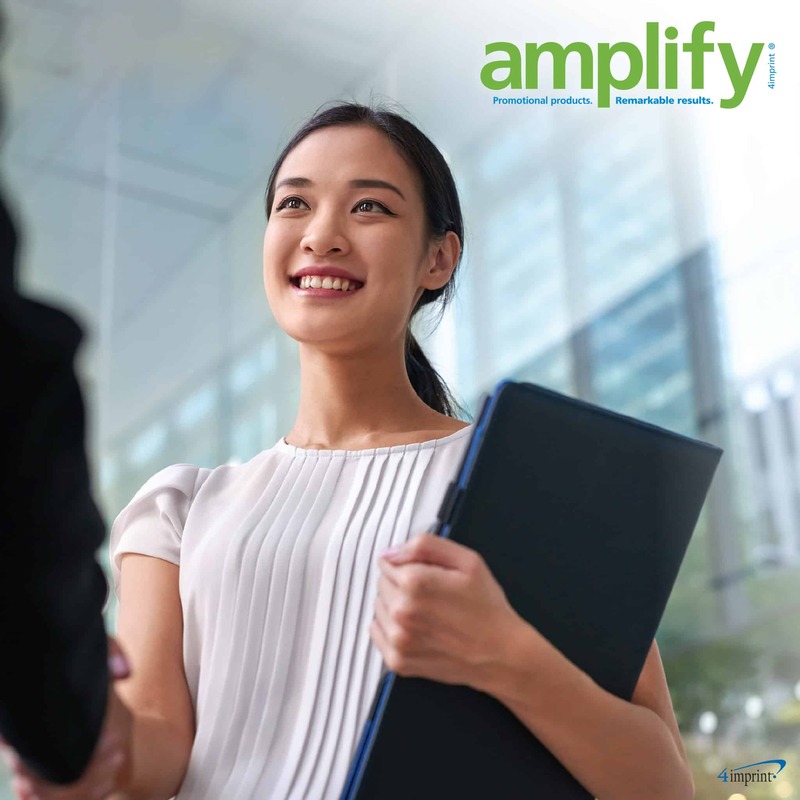 Click here to read the amplify cover story, which examines a recent 4imprint® survey covering the most effective recruitment methods using employee recruitment giveaways. 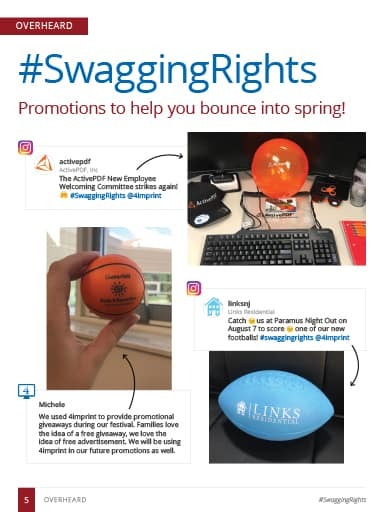 Click here to see how customers are using fun promotional balls to earn #SwaggingRights® and bounce into spring. Outdoor activities are on the rise! 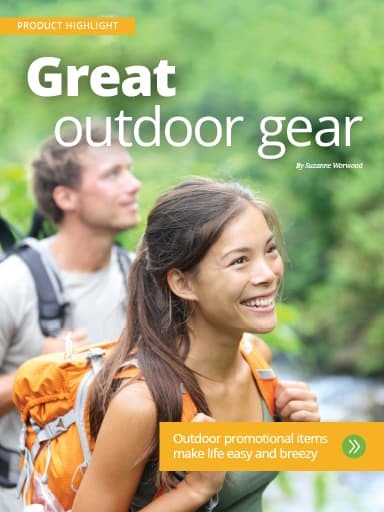 Click here to read about the premium outdoor promotional items your clients and employees will want to bring with them on every outdoor activity. Effective listening training is an effective business tool. 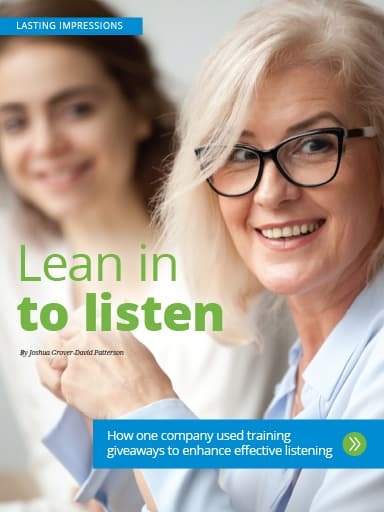 Click here to see how training giveaways can build better listeners to improve customer communication—and your bottom line. 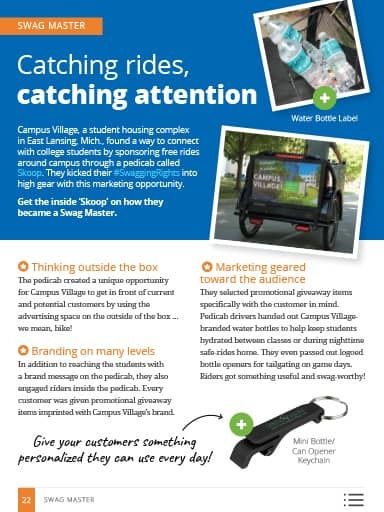 Click here to learn how this Swag Master uses promotional giveaway items to catch attention while their customers catch rides. Do you want more engaged employees? Click here to see how learning opportunities and professional development gifts help you find and keep staff members. 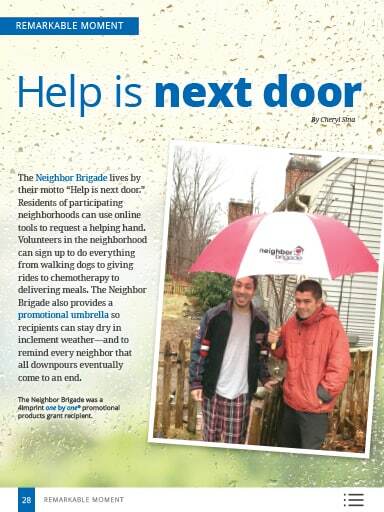 Promotional umbrellas shelter the Neighbor Brigade volunteers as they help neighbors in temporary crisis. Click here to see what they do for those who live next door. Would you like to receive an email notification when the next issue of amplify is published? Here’s how: Send your email address to 4ideas@4imprint.com – it’s that simple!